How familiar are you with ceramic flooring? It is one of the only type of flooring products that has multiple benefits and can be found in just about any contemporary home. Ceramic flooring is most commonly used in tile form and usually contains only one type of material – clay. The process of making ceramic tile is a fairly simple one. The clay is molded, baked and glazed and then ready to set. Carpet Corner has been one of the most affordable flooring stores in New Orleans for decades, and ceramic has been a trustworthy flooring type that we almost always recommend to our customers. Ceramic flooring is one of the most popular type flooring products used in homes today. They are so common in most households because they are the perfect flooring style for high traffic areas such as bathrooms and kitchens. 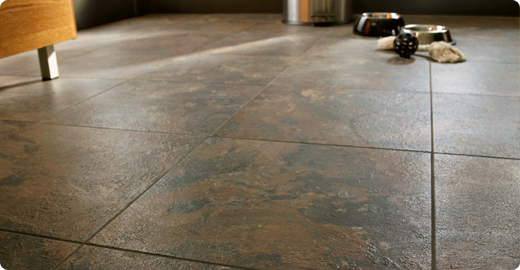 Ceramic flooring is waterproof, fireproof, and stain resistant. It’s also very durable so it’s able to withstand more activity and damage than most floors without showing signs of wear and tear. Their durability also allows them to have a longer lasting lifespan, which means you can have the same reliable ceramic flooring in your home for decades if you take care of it properly. Ceramic flooring is also well known for being extremely easy to clean and to maintain. It doesn’t require much cleaning and can withstand damage more than other flooring types. The material most ceramic tile is made from makes it resilient to absorbing liquids and odor causing bacteria. So spills or messes of any kind can be cleaned up in no time at all without leaving any permanent damage behind. Carpet Corner is proud to sell ceramic tile and other ceramic products that exceed our customers’ expectations when it comes to quality and pricing. We’re not referred to as one of the most affordable flooring stores in New Orleans for nothing. We pride ourselves on our affordable prices and skilled workmanship, and we have the resume to prove it! As one of the most affordable flooring stores in New Orleans, we know how important it is to have affordable and reliable flooring readily available to all of our customers. That’s why we offer FREE in-home consultations and professional installation to ensure that you are receiving the quality flooring you and your home deserves.